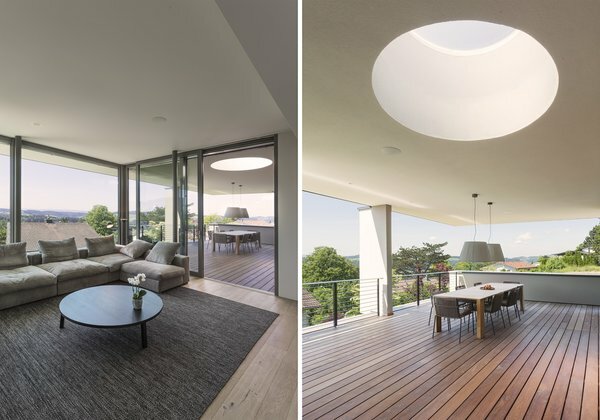 The new family home of Meier Architekten is located in Uitikon. The quiet residential area with beautiful views of the countryside is attractive due to its proximity to the city. In accordance with the wishes of the client, the house was designed with very spacious rooms in an almost sculptural composition. The focus was on quality and comfort. From the outside, the new building presents itself in a warm and clear sand-colored facade with large glass panels. 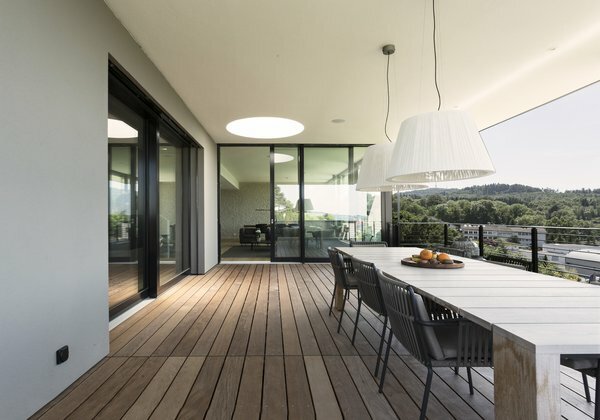 The connection between inside and outside is very pronounced and allows one to enjoy the amazing view of the Alps. The top floor terrace, out of three terraces in total, is completely covered, so you can enjoy the view from this spacious outdoor area all year round. The beautiful wooden floor gives the terrace an extremely comfortable ambience. The terrace also scores with a beautiful view of the large garden and offers plenty of space for individual furnishing. The interior of the house has mirrors the simple, elegants of the architecture. Clear, pure and minimally reduced lines and shapes prevail in the interior. Special attention was given to the functionality of the rooms. The kitchen, the dining room and the living room are interconnected to facilitate the communication and exchange of the inhabitants. 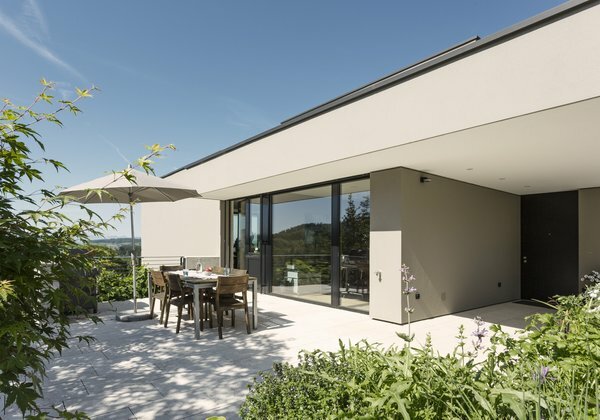 From the open terrace you can easily reach the kitchen as well as the covered terrace. A library with a modern fireplace overlooks the terrace creating a peaceful island, both in the winter and in the summer months. The top floor is dedicated to the parents, where they have their own private section of the house. The bathroom and shower area are in soft beige colors. The polished surface of the travertine runs harmoniously over the floor and parts of the walls. 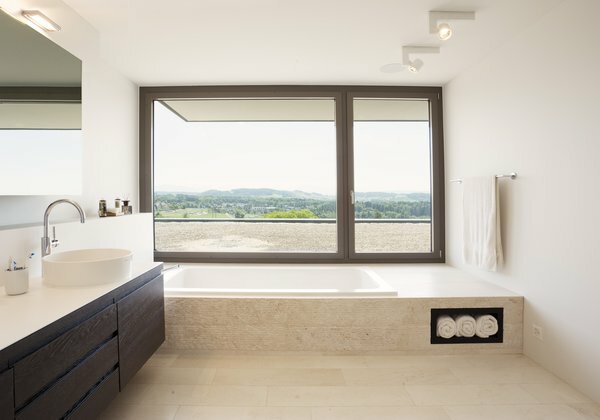 The large glass panel above the bathtub invites you to look out over the landscape and enjoy the view while bathing. The connection between the bathroom and bedroom leads to a generous oakwood dressing room. 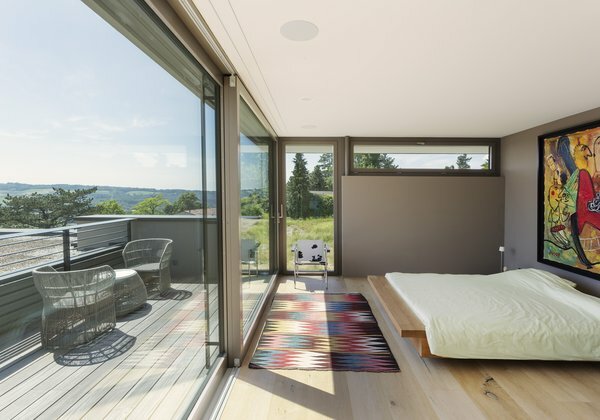 The floor-to-ceiling windows to the open terrace fluds the bedroom with daylight. In the basement, guest rooms and children's rooms are literally a step away from the garden and the terrace. In this playful way of using the rooms, the children can move freely and absolute safety. In the outdoor lounge, the view opens onto the lawn of the garden. Next to the lounge is a whirlpool for relaxation. The carefully selected materials and colors harmonize with the natural colors of the surrounding nature. 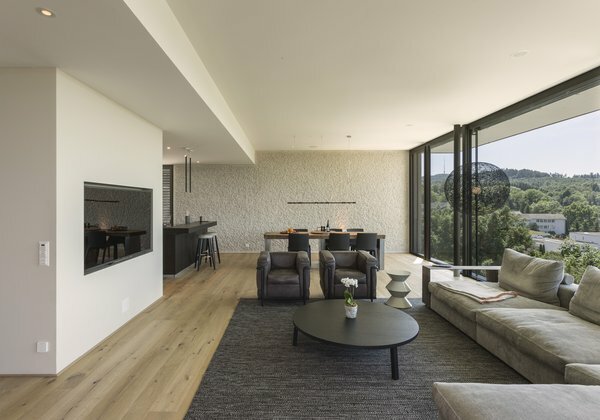 Wood and stone make this family home welcoming, creating a warm and elegant atmosphere. The house is convincing through its sophisticated design and its high quality which underline the architectural elements. The function and the experience of the room flow into one and enable an individual living. 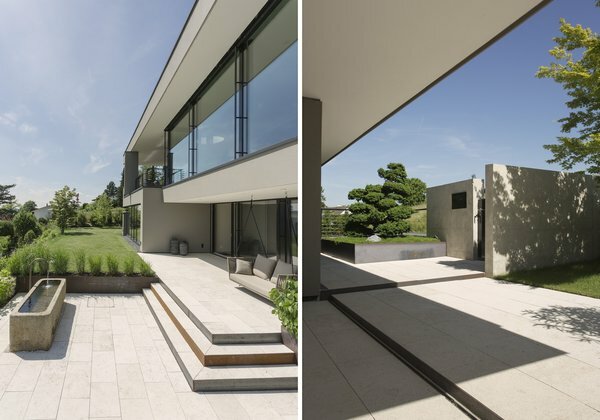 The architect fulfilled the clients wishes giving the property a touch of originality and exclusivity. 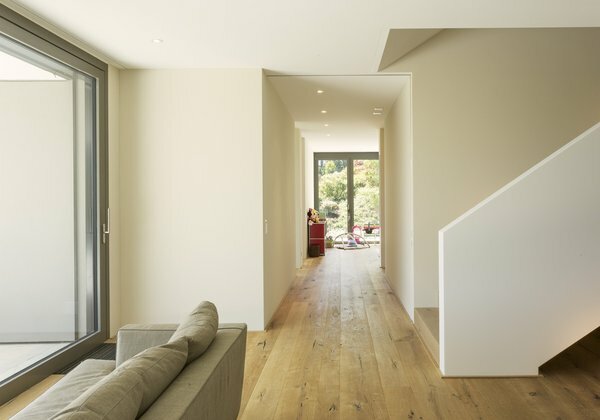 meier architekten zurich uploaded Object 340 - combination of quality and comfortthrough Add A Home.